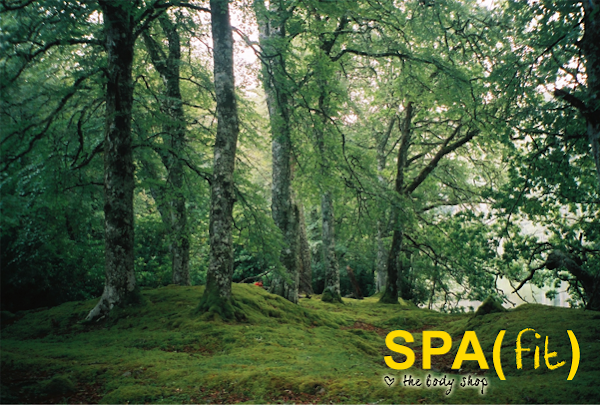 Made for Summer, Spa Fit shapes you up and gets you 'spa fit'. Get excited about frolicking under the sun in your brand new swimsuit... With confidence! Spa Fit is described as 'the ultimate home-spa range that delivers the firming and toning power of a spa trip in just minutes'. The range is jam-packed with orange, lemon, lime and grapefruit oils and natural caffeine. 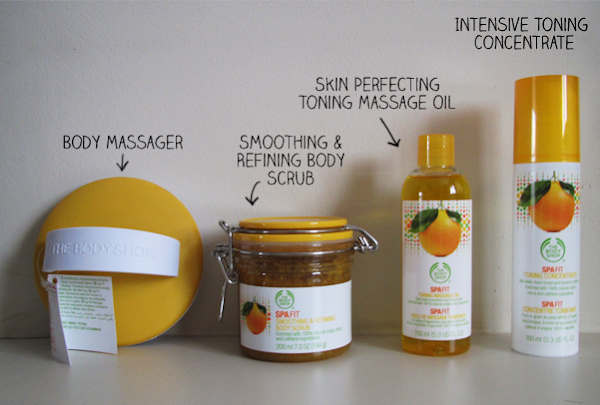 The fruit oils help keep your skin smooth and soft like a baby, while caffeine works hard at toning and firming you up! Spa Fit was tested on over 150 women and here are the figures! 70% said their skin looked more toned. 74% said their skin looked firmer. 74% said their skin felt smoother. 96% said their skin felt softer. Spa Fit is an equation of 4 products; Body Massager ($14.90), Smoothing & Refining Body Scrub ($42.90), Skin Perfecting Massage Oil ($28.90) and Intensive Toning Concentrate ($34.90). 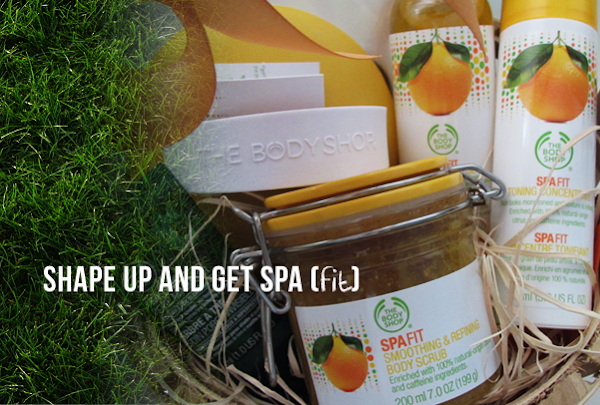 As most of us are aware, The Body Shop is a brand that practises giving back to society. Her products contain Community Fair Trade ingredients and Spa Fit is no exception. The organic aloe vera found in this range is from Guatemala. It is hand-harvested and hand-filleted to preserve the gel's freshness and all these are done within half a day. The trade provides income for the El Progreso's farmers and materials to more than 100 schools. Here are the steps which are to be accompanied with the products to get your body picture perfect! I have been using the above 3 products for close to a month now and it has been a complete delight! For those who don't follow me on Twitter, I'm currently on an internship. And I don't know how the other ladies do it, but juggling family, boyfriend, friends, blog and work is no mean feat. I try to get an average of 6 hours of sleep daily but every morning, I wake up feeling like I just ran a marathon. Haha. Please excuse my whining (If this irks you, do not follow me on Twitter. Do not. You have been warned.). Heh. But I'm pretty glad that I have got this range in my bathroom right now. I make it a point to use the Smoothing & Refining Body Scrub every morning (Even when I'm running late. Which happens every other day.) because I love the citrus scent! It lifts my mood and you know how morning moods set the tone for the day. (: The scrub also keeps my skin smooth! Using the Skin Perfecting Massage Oil every night keeps my skin from drying out (I swear Singapore has her every own Arctic and it takes the form of my office.). The oil absorbs in the skin quickly, leaving no sticky residue or heaviness. I sleep in comfort and when I shower in the morning, I don't feel like I'm washing off a layer of anything. I don't feel anything at all, except smoothness and softness. The skin just soaks in all the goodness of the oil. I haven't used a luxurious body care range for a really long while now and am really glad for these new residents in my loo. I think this might just set off some kind of obsession with body care products in me. Heh. I've recently started too. Have used the concentrate gel n massager for a week now, and i love how my skin feels!!! Its smoother n seems firmer n doesn't leave tht residue on my skin! I love it soo much, im goin to get the scrub n toning massage oil. Big thumbs up. MAIL: My first nail polish ring!